Once you have decided to commit to a class and buy the required textbook, how do you save as much as you can? Most importantly: be informed. Don't just buy the book at the bookstore! Do your research, compare the bookstore price to prices online. Take shipping and taxes into account. Always compare the total price which is the only price that matters. In my opinion, this is a no-brainer. You can save 20-50% buying used. Online stores usually sell copies in good condition. They will state the overall condition of the book and whether there are markings within. 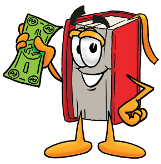 When buying from the bookstore or fellow student, leaf through the book before handing over the cash. Regarding price - your best bet is finding another student that owns the book you need. Both of you will get the best deal with no middleman taking a cut on both sides of the transaction. If you can't find that used copy then do an online search. Renting is a good way to save money, though always compare to other options because prices vary considerably. You can often find a used book for about the same price as a rental which gives you the option to keep the book or sell it back. You may decide to purchase an eBook for convenience or other reasons. However, in most cases, it will not be the cheapest option. Prices these days are typically 10-20% less than the list price for a physical book, but as we discuss here there are ways to cut down the price even more. Remember - you can't sell a used eBook. Publishers love that. You may want to consider using a Boundless textbook. Boundless is a company that offers e-textbooks compiled from open-source material. They align the material to match the required textbook chapter by chapter. For $20 you get a "matching" book bundled with quizzes and flashcards. They also publish some free textbooks. Boundless textbooks are not available for every textbook, but The Cheap Textbook will show this option when available. You can learn more on the Boundless website. You need to be on top of things - i.e. do not procrastinate when it is time to sell. See this NYTimes article on timing. Danger of new editions appearing (see above) which will reduce the value of your book to much less than before. As stated above in the "New vs. Old" section - selling to another student may get both of you the best deal. In general the best strategy is to buy used and then sell back. That usually will be half the price of renting. Even better, use an older edition of the textbook if possible.